Thank you for visiting our website and having interest in our Care Coordination Program at Alternatives. Our program is dedicated to helping older individuals remain in their homes for as long as possible. I am frequently asked how to get help to stay in their own home longer, perhaps with a loved one who has dementia or is dealing with the challenges of aging. Alternatives is the easiest and best first call to make, it is our job to connect you with just the right resources. When you contact Alternatives, you will be greeted by a case associate who will listen to your concerns and may ask you a few questions to determine what kind of help you or your loved one may need. Before hanging up, you will be assigned a Care Coordinator and know his/her name. What is the next step? A certified Care Coordinator will contact you to schedule an appointment for a home visit. It is important for you to know this initial home visit is at no cost to you and is funded by the Illinois Department on Aging. Your Care Coordinator will thoroughly assess your needs and preferences in the comfort of your own home. Based on your Care Coordinator’s professional knowledge of available services and resources in your area, he or she will provide a list of recommendations and options for you to choose from. Alternatives will continue to connect with you to be sure supports are effective for you and we are available to visit as your needs and situation change, (such as a hospitalization, a short-term rehabilitation stay or maybe even a longer stay at a nursing home). I hope you find our website helpful and informative. If you have further questions or would like to make a referral, please do not hesitate to call us. Together, we can explore options for a better quality of life for you and your loved ones. Alternatives’ Care Coordinators are experts in the field of aging (certified by the Illinois Department on Aging) who will sit down and help develop a plan of care that will meet the individual’s/caregiver’s needs so that they can remain in their homes for a longer period of time. Has difficulty remaining in one’s home because of physical/functional issues. Needs help after a stay in the hospital or nursing home. Is feeling overwhelmed and needs a break from caring for a loved one. We visit you in your home. We provide a free, complete analysis of your needs using the Illinois Department on Aging’s comprehensive tool. We develop a comprehensive care plan based on your individual needs. We have the resources to help you. We follow up periodically to make sure you are happy with the plan. We offer a reassessment to re-evaluate needs (after hospitalization, move to a new environment, loss of caregiver, etc.) at any time. We help transition individuals over the age of 60 back to the community from the hospital or a nursing home stay. 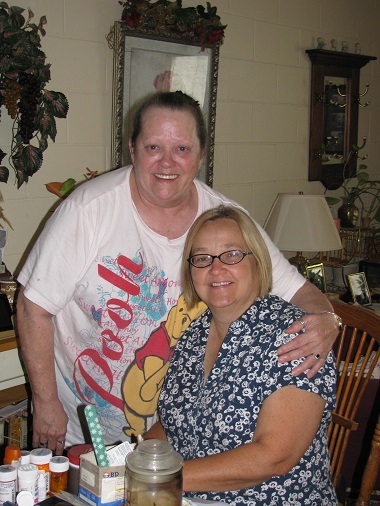 We provide counseling and resources for overwhelmed caregivers. A care coordinator will talk to you to help you determine your needs. Call (309) 277-0167 or (800) 798-0988. Alternatives promotes the independence and quality of life for older adults, adults with disabilities, and their families. We have Spanish speaking employees to help you. Nosotros contamos con empleados que hablan español para ayudarle.